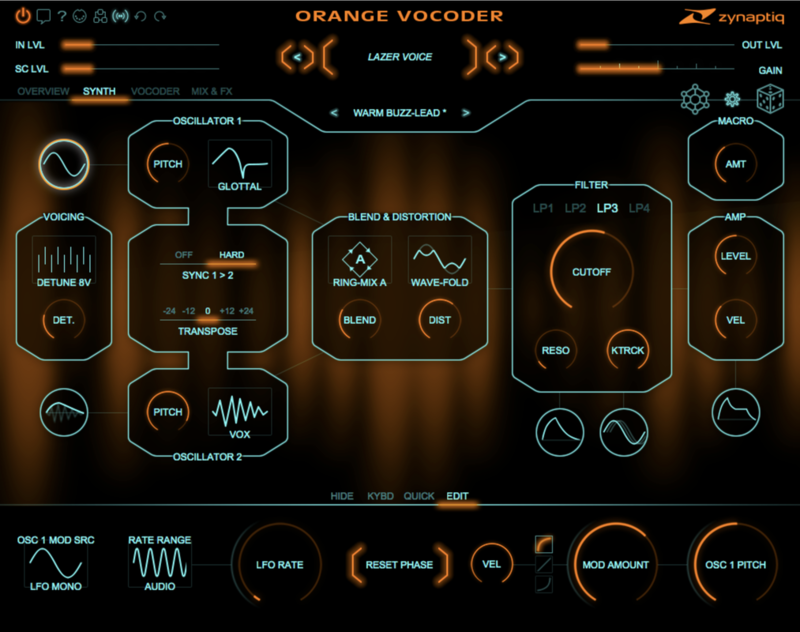 ORANGE VOCODER 4 – Coming Soon! 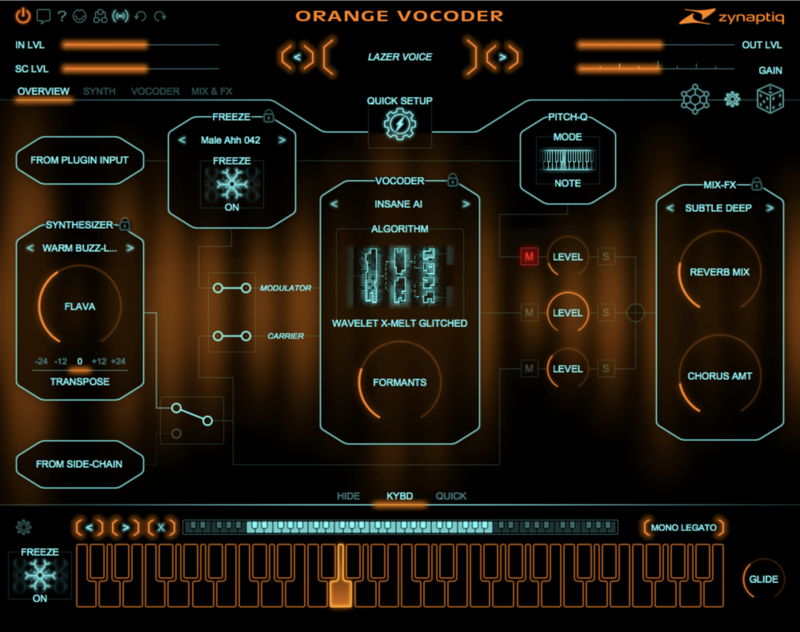 As far as plugin vocoders go, the ORANGE VOCODER is considered by many to be THE classic one. Critically acclaimed for its sound quality and sonic versatility throughout its many iterations since it was created by Prosoniq in 1998, version 4 expands on both accounts... and then adds some. 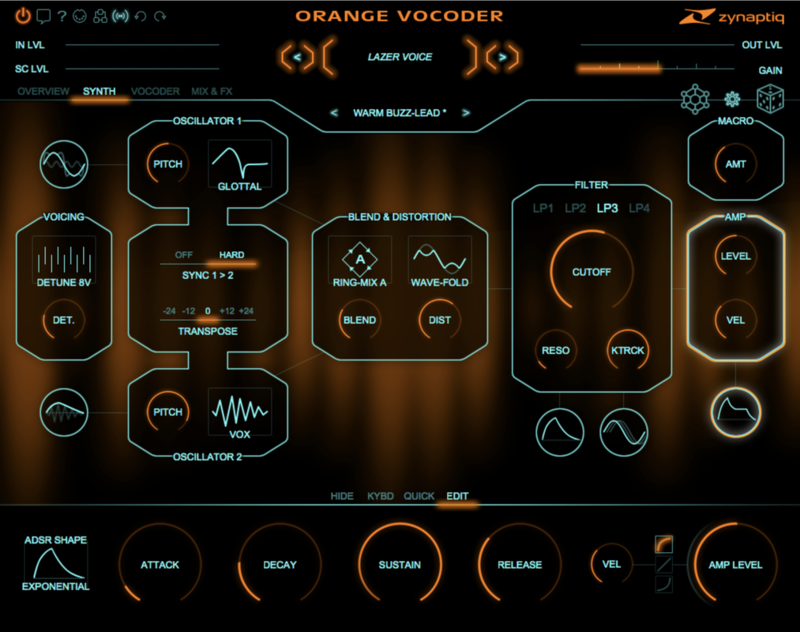 Fully reworked from the ground up, we are proud to say that ORANGE VOCODER has truly been zynaptified. Supports AudioUnits, RTAS, AAX Native, VST 2.4 and VST 3 on macOS, and RTAS, AAX Native, VST 2.4 and VST 3 on Windows. New, streamlined multi-view UI with killer workflow features, including sub-presets and smart section randomization, and more. Greatly expanded Vocoder section featuring 22 unique algorithms, formant shifting, expansion, stereo operation, and more. Completely rewritten, aliasing-free synthesizer section including Unison and Mono Legato operation, thru-zero linear FM, comprehensive modulation options, and more. New voice pitch quantization module controlled via MIDI input, including pitch-bend and glide. 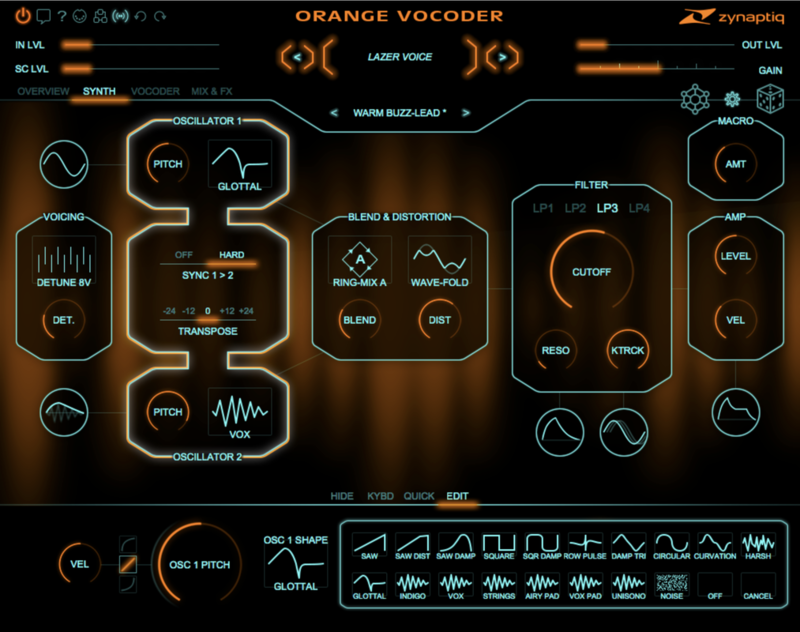 "I’m proud to say I’ve been using the ORANGE VOCODER since day 1 - it’s the best and easiest software vocoder plug in currently available and you get very good results very quickly." Record Producer & Composer: Culture Club, The Clash, The Beach Boys, Ziggy Marley, The Honeyz and Natalie McCool, amongst many others.